Telecommunication grade optical fibers categorized in ITU-T recommendations need to be protected inside the tubes and then wrapped by tapes or yarns before covering with a weather resistant polymer sheath. In typical application cases, a single covering of polyethylene or polyvinyl chloride material will protect the optical fibers inside from environmental changes. However, some cable deployment environments demand stronger protection. For example, if the cables are laid along the railway tracks or buried under the road where vehicle traffic is heavy, then we need to add extra layers of protection to the fiber optic cable. 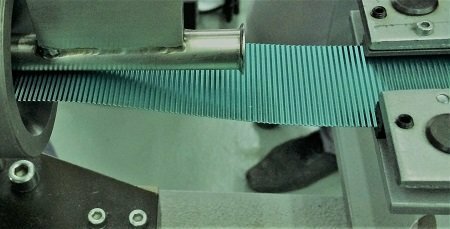 In most of the cases where extra mechanical strength is required, a corrugated steel tape armoring can solve the purpose. Corrugated steel tape armor protects the inside fibers from the possible attacks by rodents and termites. Typically used steel tapes by fiber optic cable manufacturers are Stainless Steel tape (SS tape) and Electrolytically Chrome Coated Steel tape (ECCS tape). Stainless steel is costly and adds up to the cost of the cable. Hence, the recent trend is to use corrugated ECCS tape. The above thickness is for the plain ECCS tape that comes in coils/rolls of 2 or 4 kilometers. The rolls are loaded on to the Steel tape Pay-off in the sheathing machine. If you look into the line-diagram of a sheathing machine, there could be many Pay-off units depending on the cable design that a fiber optic cable maker intends to manufacture. For example, if the cable maker wants to use glass yarns or aramid yarns and water blocking/mica tapes along with the corrugated tape, they need to place different pay-off units for each one of the elements. The plain tape passing through the corrugator unit will get corrugated. Corrugation process gives the tape a shape of a wave with crest and trough. The distance between adjacent troughs or crests is called the Pitch. A pitch of 2.5 mm is normally put in the fiber optic cable factory. Corrugation height is usually set at 0.8 mm. However, after passing through the extrusion tools, the corrugation height will reduce. We have seen a reduction of 30 to 40 percent. So, the effective corrugation height inside the cable would be something around 0.5 mm. This is often a case of dispute when there is a third party inspection at the fiber optic cable manufacturing facility. 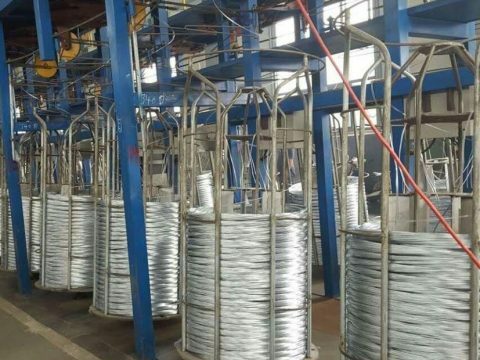 Cable makers submit the corrugates steel tape armored cable specification with a corrugation height of 0.8 mm (This is the set value at the machine). Once the specification is approved by the customer and when they send inspection engineer for verification tests, the inspection engineer insists to show the value of 0.8 mm, when practically, the corrugation height may be lesser than the set value. Corrugation process itself is a very simple mechanical process. The steel tape passes through corrugated rollers controlled by a motor and gets corrugated. The corrugation height can be adjusted by changing the settings in the corrugation unit. A little difficult part of the corrugated steel tape application is the “forming”. The selection of a forming tool that is suitable to the inner core/inner sheathed cable outer diameter needs some skills and calculation. Otherwise, the overlap direction of the corrugated tape may get changed in between the process and will lead to sheath loss and or tape break. Jointing of tapes when the extrusion machine is running also needs special skills. Experienced machine operators can accomplish this task, which involves – removing the copolymer coatings from the ends of the tapes, spot welding and attaching an external co-polymer film and melting it with the tapes – without errors within a limited time. Sheathing line speed can be reduced to around less than 20 meters per minute. There is an accumulator unit which stores enough plain tape to take care of the back-supply and allow the joining process. 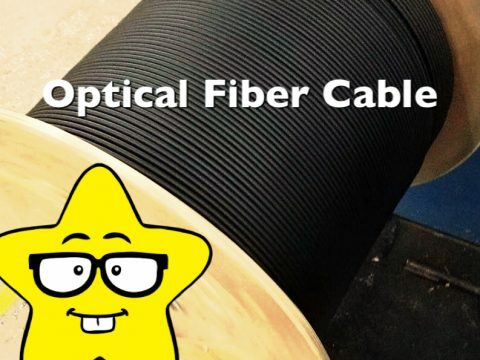 All these additional processes, materials and skills add up to the cost of the fiber optic cable. Over a period of time, the corrugation of steel tape has become an easier process with the development of user-friendly machines and automation in the process.